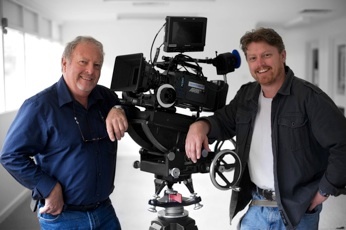 PIPER FILMS is a father and son team with a combined production experience of over 75 years. Founded by Executive Producer Mike Piper in 1983, Piper Films has produced over 50 hours of independent television productions that have screened on major networks world wide – these include programs which have delivered double the normal ratings for a Channel 5 (UK) program slot; a massive 56% of total national audience share to Australia’s TEN Network, and a program in the top 5 most popular programs on National Geographic International Worldwide in 2002. Piper Films has won several prestigious international awards including the New York Festival’s Gold World Medal, the Beijing International Scientific Film Festival’s Gold Dragon Grand Prize, an AFI nomination, the ACS Golden Tripod Award, and an ACS Gold Award for each of four episodes of a television series for ABC TV… the only time in the 40 year history of the awards that every episode of a series received a Gold Award. A second generation film maker, born on a set, picked up a camera at the age of 5, it's clear that film making is in his DNA. Corey’s professional career began at age 15, directing and selling his first program to SBS, followed by 25 years of extensive production experience with international credits in nearly every crew role, genre and budget category, while working alongside and learning from the worlds best. For the last 10 years Corey has refined his writing and directing skills on national television commercials in preparation for his feature film directing debut. During his 43 year career in radio and television production Mike Piper has created, produced, and directed numerous multi-award winning television programs that have been screened by broadcasters, satellite, and cable channels worldwide. His programs have achieved enviable rating success, topping the 11pm strand for UK’s Channel 5 in 2002, reaching a massive 56% of audience share for the Ten Network in Australia, and among the top five most popular on National Geographic Channels Worldwide. Piper Films ½ hr program Echidna the Survivor delivered 2.4 million viewers on BBC-2 and 1.1 million viewers on ABC-TV and has sold to over 40 other territories around the world. The 1 hr dramatized documentary, A Wire Through the Heart, delivered just over 1 million viewers on ABC-TV and beat the BBC-1’s feed for audience share when screened on BBC Scotland. The 2 x 1 hr series Suburban Stripper and Outback Stripper doubled the ratings for the 11pm Thursday slot on UK’s Ch-5 and acquired a 56% audience share when broadcast on the TEN Network in Australia. The multi-award winning 4 x ½ hour series Opal Fever averaged 870,000 viewers for the 8pm Tuesday slot on ABC-TV and the multi-award winning Red Crab Crazy Ant was among the five top rating programs on National Geographic Television worldwide. Aramco, Australia, Belgium, Brazil, Canada, Cyprus, Czechoslovakia, Europe, France, Germany, Hong Kong, Hungary, India, Indonesia, Ireland, Israel, Italy, Japan, Kenya, Latin America, Lebanon, Mexico, Netherlands, New Zealand, Norway, Pacific/Asia region, Poland, Romania, Hungary, Singapore, Spain, Taiwan, UK, US. 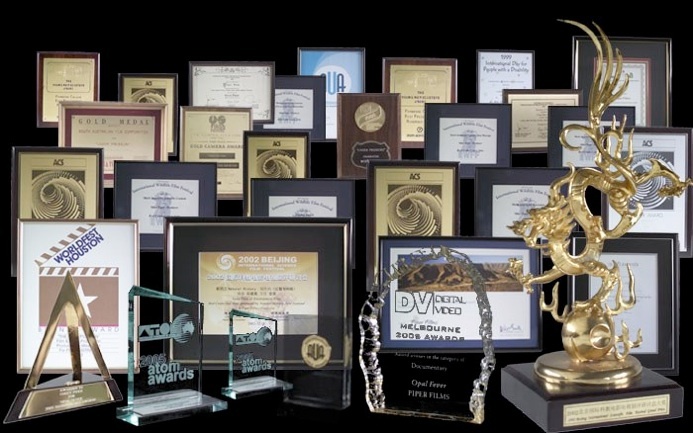 Piper Films has won many awards in recognition of both it’s program content as well as cinematic crafts. Our awards include an AFI nomination, ACS Gold Tripod, Atom Awards, National Geographic International Awards, International Wildlife Film Festival Awards, and the Prestigious Beijing Golden Dragon.